Our Acclaimed Faculty is composed of both professional musicians and active seminary professor-priests, creating a unique environment where every aspect of Church Music can be addressed in its practical, theoretical, and theological contexts. Fr. Pryor is Instructor in Church Music & Director of Chapel Music at Nashotah House in addition to his administrative duties as director of the Church Musicians Workshop. He played his first service at age 9, held his first Assistant Organist post at 12, and took an Organ Scholarship at 16 prior to earning degrees in Music (Organ) and Music Education (Primary-Secondary; Choral, Instrumental & Classroom Music) at Memorial University of Newfoundland. Fr. Pryor has eclectic musical tastes, and his research interest lies at the intersection of Sacred Music, Liturgical Theology, and Sociology, with a keen interest in understanding how our non-verbal associations with sounds are formed in community, and how the Church can best use that symbolic communication and shared understanding to teach the Faith. He lives on the campus of Nashotah House with his wife, Kristina, children Theo (5) and Lorelai (3), and cat, Daisey. 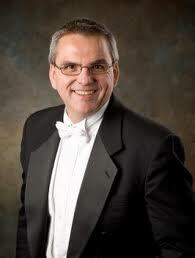 Stephen Buzard is the Director of Music at St. James Cathedral in Chicago. He is the principal musician at St. James, playing the organ for services and directing the Cathedral Choir. A recent and exciting project involves bringing at-risk youth from inner city neighborhoods to the cathedral for exciting summer activities, including exposure to music and the arts. Mr. Buzard came to St. James from Saint Thomas Church Fifth Avenue in New York City where he served as Assistant Organist until the untimely passing of their Director of Music John Scott in August 2015. Following this tragedy, Mr. Buzard became Acting Organist and Director of Music, directing the prestigious choir of men and boys in their rigorous routine of daily services. Mr. Buzard holds a Master of Music degree from the Yale Institute of Sacred Music and a Bachelor of Music degree from Westminster Choir College in 2010 where he studied organ with virtuoso Ken Cowan. Before starting at Yale Mr. Buzard spent a year in England as Senior Organ Scholar of Wells Cathedral where he accompanied and conducted in daily services and assisted in the training of the boy and girl choristers. Mr. Buzard is an Associate of the American Guild of Organists, winning the Elmer and Associate Prizes for highest score on an AGO exam nationally. This year he was named one of the “top 20 organists under 30” by The Diapason magazine. Read full bio here. Lieve is Children’s Choir Director at St. John’s Episcopal Church in the Old Irving Park neighborhood of Chicago. She formerly served as a staff soprano at St. Bartholomew’s Episcopal church, NYC, where she was a frequent soloist in their concert series. Lieve is passionate about teaching voice and is currently working towards a Masters in vocal pedagogy at Westminster Choir College. Lieve also volunteers as a proctor at the Royal School of Church Music Charlotte summer course. While her first love is sacred music, Lieve’s operatic roles include Echo in Ariadne auf Naxos, Barbarina in Le Nozze di Figaro, and Emmie in Albert Herring. Lieve earned her Bachelors degree from Princeton University, where she studied choral conducting under the tutelage of former King’s Singer Gabriel Crouch. She is married to Stephen Buzard, who serves as Director of Music at St. James Cathedral in Chicago. Canon Kucharski retired in 2016 following 25 years as Professor of Church Music & Director of Chapel Music at Nashotah House. He began his musical life as a Roman Catholic choirboy on Milwaukee’s South Side and was quickly drawn to the transcendent magnificence of the organ. He was drawn to the Episcopal Church through the beauty of Choral Matins, and has held church music positions in and around Milwaukee for almost five decades, spanning the spectrum from low church liturgy to Solemn Masses. Canon Kucharski is Canon Precentor of All Saints Cathedral in Milwaukee, where his 24 voice choir is renowned for its knowledge and love of the Anglican Choral Tradition, from Byrd and Taverner through Howells and Vaughan Williams to contemporary composers such as Gjeilo and Mawby. Recently retired as director of the Milwaukee Symphony Chorus, Lee Krickson is regarded as one of the top choral conductors in the Mid-West, with his choir hailed by Tom Strini as “the jewel in Milwaukee’s cultural crown”, singing a wide range of music spanning baroque through contemporary pops each year. Maestro Erickson has held church music posts in and around Milwaukee for 4 decades in both choral and organ positions, and is excited to work with conductors of all levels and to help self-taught organists become confident in leading the church at worship. Mr. Berry is the Director of Music & Organist at the Basilica of St. Josaphat in Milwaukee, having previously served as Organist-Choirmaster at the Church of the Incarnation (Episcopal) in Dallas, TX, Director of Music at the Pontifical North American College at the Vatican, and at Holy Trinity Church in NYC, during which time he was also staff accompanist to the choirs of Westminster Choir College. Mr. Berry has conducted his choirs in the Sistine Chapel and St. Peter’s Basilica in the Vatican, and Westminster Abbey, St. George’s Chapel, Canterbury Cathedral and Lichfield Cathedral in England. His latest CD release, Regina Immaculata, with the Choir of the Pontifical North American College, was recorded in 2008 and features his own Gregorian chant harmonizations and the music of Maurice Duruflé. Mr. Berry has been a laureate of numerous national and international organ competitions. His teachers have included Francois-Henri Houbart (Premier prix, Conservatoire de Rueil-Malmaison, France), James Higdon (MM, University of Kansas), and Jesse Eschbach (BM, University of North Texas). Dr. Dobey is Organist and Choirmaster at Grace Episcopal Church in Sheboygan, WI, where he has served since 1997, relocating to escape the rush-hour traffic of Washington, D.C., where he had spent most of his career as an organist, accompanist, singer, conductor, and college teacher. His music degrees are from Oberlin and Eastman, and he spent a year studying the organ in Germany on a Fullbright grant, and two years singing in the choir of Wells Cathedral in England. He teaches organ at Lakeland College, and has recorded five solo organ CDs for the Pro Organo label. Mr. King is Sub-Organist at All Saints Cathedral in Milwaukee, where he shares organ and conducting responsibilities with Canon Kucharski. He holds masters degrees in Organ and Computer Science, and has served a number of parishes in Illinois and Wisconsin. Stephanie Seefeldt was raised in Green Bay, Wisconsin, where, from an early age, she began to grow in her love of thoughtful worship and historic hymnody at her family’s Lutheran church. While studying music in college, she become involved with InterVarsity Christian Fellowship – an inter-denominational Christian student organization – leading worship for yearly state-wide conferences. After college she was called into full-time church work, eventually taking the position as worship leader at Elmbrook Church in Brookfield, Wisconsin. While at Elmbrook, Stephanie began a partnership with Jill Briscoe that has taken them to conferences across the country and abroad. Stephanie and Jill are currently participating in Anne Graham Lotz’s Just Give Me Jesus revival events. Stephanie has also ministered alongside Anne both at the Billy Graham Training Center at The Cove in Asheville, North Carolina, as well as in England, Wales, and Denmark. Stephanie’s husband, Scott, is now the Rector of Zion Episcopal Church in Oconomowoc, WI, where the family resides, and where Stephanie serves as Organist. One of Steph’s favorite things is spending time at the piano at Field’s at the Wilderness in Wisconsin Dells, sharing showtunes, standards, obscure hair-band ballads from the 1980’s, and any other requests that come her way. Fr. Olver was raised in the Brethren in Christ tradition and sensed a vocation to Christian ministry at a young age. A trained musician, he studied literature as an undergraduate and during that period was introduced to Anglicanism and began to consider the priesthood. His seminary studies at Duke piqued his interest in liturgical studies and ecumenism and upon graduation the faculty awarded him the Hoyt Hickman Award for Outstanding Liturgical Scholarship and Practice. In 2005, he moved to serve in the Episcopal Diocese of Dallas and was ordained deacon, which began eight years of full-time pastoral ministry: first at St. John’s Episcopal Church and School (2005-06) and then from 2006-2013 as the assistant rector at Church of the Incarnation, Dallas. There, he oversaw adult formation as well as the parish’s renowned music and liturgy program. His current research is constructive project using the liturgical theology of Louis-Marie Chauvet and Thomas Aquinas as a way to provide a helpful corrective to the influential four-fold action theory of Dom Gregory Dix. Dr. Sherwood teaches Ascetical Theology at Nashotah House in addition to his duties as director of the Frances Donaldson Library. Having earned both the Master of Theological Studies (Austin Theological Seminary) and the Doctor of Ministry (Nashotah House) in addition to an MA and Master of Library and Information Science from Baylor, his research interests include the 12th-century English Cistercians, 14th-century English mystics, and the Caroline Divines. Dr. Sherwood will lead sessions related to aesthetics (beauty) and ascetics (discipline), as the two are intimately tied together, both for the artist and the listener.A dedicated amateur church musician, he has performed with a number of choirs and served as organist for a local congregation.